Ruby red and intense wine. The aroma is elegant, rich in scents of mellow red fruits and spicy in notes of liquorice and tobacco. The flavor is dry, balanced, very persistent and elegant. 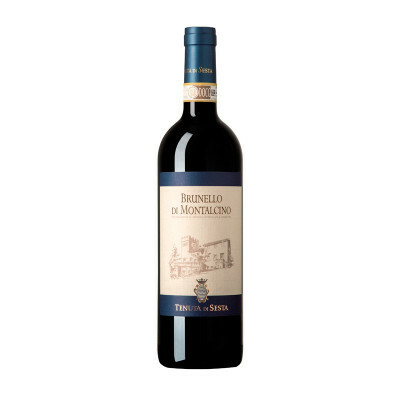 Brunello di Montalcino is one's Italy most famous and prestigious wine. It is made only with Sangiovese grapes grown on the slopes around Montalcino, Tuscany. All the cultivation practices are manual. Sangiovese 100%. IT MAY CONTAIN SULPHITES. Abv 13-14%. Brunello pairs with roasts, game, red meats, rich first courses, with sauches and seasoned cheese.